The parish of St. John the Evangelist in West Chester was founded in 1880. The building which housed the first church was constructed as a school in 1847 on a lot adjoining and belonging to the local Presbyterian Congregation. It became known as Grange Hall in 1875 when it was purchased by the Grangers, an organization of farmers. In 1887, it was sold to the Catholics in the community for the celebration of Mass. This building remained the parish church until 1960, when the old church structure was dedicated. As small as the church was, it had a choir loft and a hand pumped organ. Each family had its own pew which rented for $5.00 a year. The first priest listed in the official publication for the clergy of the Archdiocese was Rev. James O’Donnell, 1881—1883. There is a nine year gap before the name of the next priest, Rev. Michael Ahearn, 1892-1893. From 1893 there was a succession of several priests of the Holy Cross Order until 1912 when Rev. George Meyer, a priest of the Archdiocese, was appointed. Sometime around 1920 the people of St. John bought the house located at 8913 Cincinnati-Dayton Road, across from the original church as a residence for the priest. The house was on four acres of land and the grounds were used for the first parish festivals. The congregation apparently did not grow very much up until World War II. Sunday collections averaged about $30.00. In 1945 there were still only about 40 families in the parish. In 1950, when signs of growth became evident, the Archdiocese saw that a larger site would be needed. The Landmark Baptist Church put its property up for sale. This was formerly the E. Scripps estate which the Baptists had acquired in 1945. It consisted of 43 acres with a large residence, the home of the Scripps family, which is the present rectory. In 1952 this property was purchased for $35, 000 and the house at 8913 Cincinnati-Dayton Road was sold. The Pavilion was one of the first projects for the new site and was used for bingo, dances, receptions and various fundraisers. In 1955 Fr. Lawrence Jaekle became pastor of St. John. The church was no longer adequate since the parish had grown to 94 families. A building fund was started, and plans for a new church got under way. In 1958, the architectural firm of Gartner, Burdick, Bauer-Nielson, of Cincinnati, won first prize for modern church art in a national competition at Notre Dame University for the innovative design of the new church. In August of that year, a scale model of the new church was exhibited in a liturgical arts display at St. Peter in Chains Cathedral in Cincinnati. This church, which seated 450 and was considered innovative at the time, was dedicated in 1961 by the late Archbishop Karl J. Alter. By 1968, due to the liturgical renewal following the Second Vatican Council, the sanctuary was remodeled to conform to revised liturgical recommendations. When the church was built, its undercroft became the center of parish activities, replacing the Pavilion for bingo, religious education and other functions. The parish population continued to rise, going from 94 families in 1955 to 286 by the end of 1965. In 1966, Fr. Jaekle was replaced by Fr. Elmer Brennan, whose first task was to provide adequate space for religious education. After paying off the debt incurred from building the church, the parish "Education-Activities Center" was begun. It was formally dedicated by Archbishop Paul F. Leibold on June 21, 1970. The Center’s primary function is religious education, but it is also used for bingo, dances, wedding receptions and many social functions. The large center area can accommodate groups of 300. The floor is marked for basketball and volleyball and is in use constantly during the fall and winter months. The parish continued to grow, and the Building Committee selected the architectural firm of F. W. Pressler and Associates to find a creative way to expand a church which was not designed to be expanded. They were asked to design an expansion that did not appear to be an add-on, but would look as though it was designed that way from the beginning. The sanctuary space needed to be in accord with current liturgical principles, and there was a serious acoustical problem which needed to be solved. The principal architects were Mike Finn, Arnold Zimmerman and Ron Weber. Dr. Dan Martin was hired as a consultant to correct the acoustical problem. David Camele, who had designed the ambo and baptismal font, was chosen to design an altar, and the Riordin Stained Glass Windows, Co. designed and installed stained glass windows to match the existing ones which they had designed. The organ, a Rodgers electronic three manual, was paid for by the Women's Guild and individual donations. In 1970, the population of Union Township was 12,000. Along with an improved sound system, video cameras were installed to make it possible to record special liturgies without disturbance. This system was donated by several parishioners. On September 12, 1986, Archbishop Daniel Pilarczyk dedicated the new altar, organ and worship space. 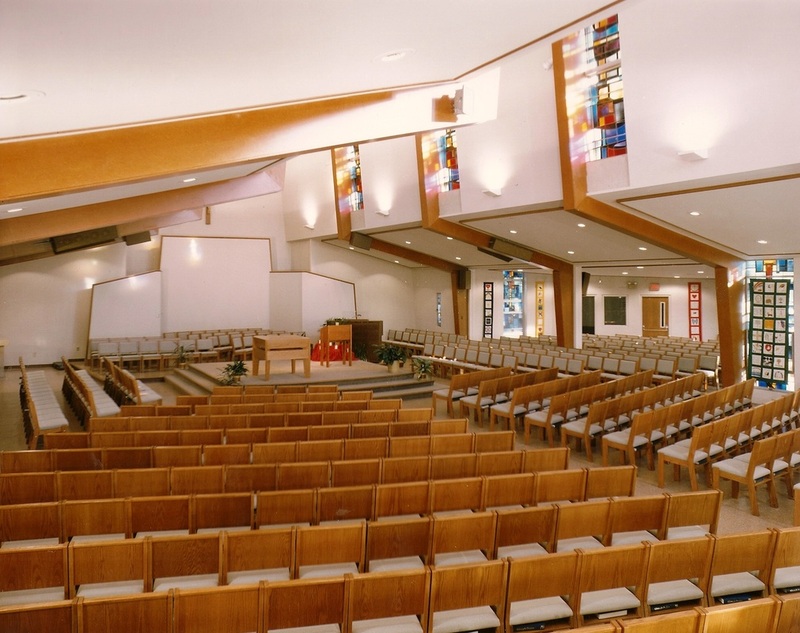 The seating capacity of the church was increased from 410 to 640, with chairs replacing the pews for more flexible seating. The marble statue of the Last Supper, which was a gift from the people of Versailles to Fr. Jaekle, was moved from inside the church to the entrance of the lower level. The total cost of the expansion was around $500,000. By 1988, Union Township had grown to 35,000 and officials predicted it would grow to 54,000 by the turn of the century. St. John now had over 1800 families and was growing at a rate of 40 new families per month. The seating capacity of the church was only 640 and there was standing room only at two of the four Sunday masses. A Parish Growth Committee was formed by Father Phil Seher to study the problem. Fr. Seher said it was architecturally impossible to remodel the present church which had been expanded in 1986. Parishioners were asked to decide between two options in order to make a recommendation to the Archbishop. 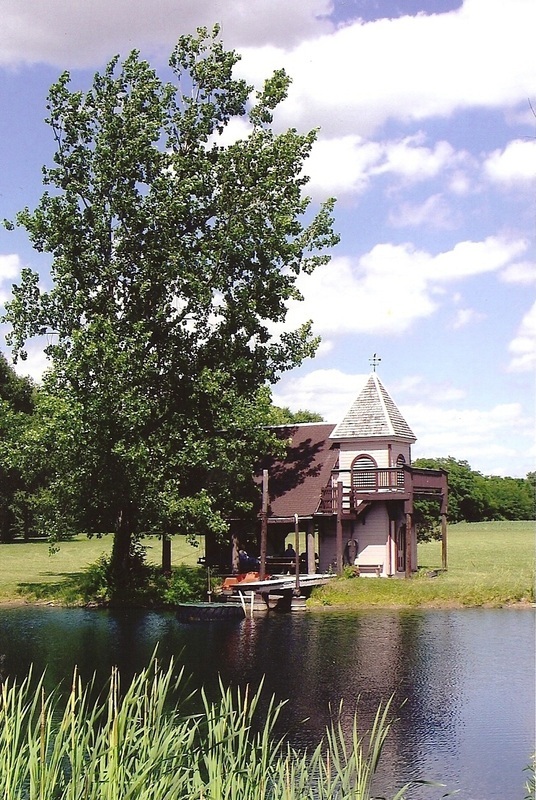 One proposal was to build a new church on the grounds of St. John Parish. The other was to split the parish and begin a new one which would be built on Van Gordon Road on property already owned by the archdiocese. This site was later determined unsuitable and new property was purchased on Hamilton-Mason Road. The parish voted in favor of the split, and on September 3, 1989, a special liturgy was celebrated in St. John Church in which those who were starting the new parish received a special blessing and a rite of sending in which the Baptismal Water, the Word and the Bread and Wine were presented to and accepted by members of the new parish, Saint Maximilian Kolbe. All are Welcome…"Growth continued for the St. John Community and during the early 1990’s a Growth Study Committee was formed with the charge to examine all available data concerning the projected growth of West Chester/Union Township. It was the recommendation of this committee to move forward with a building project. After several years of delicate planning and evaluation, nearly 1,000 members of the parish gathered on Palm Sunday, April 5, 1998, to break ground for our new worship space. Bishop Carl Moeddel, Auxilliary Bishop of Cincinnati, along with the members of the parish (all armed with shovels and spades) turned the earth to begin the actual building process. 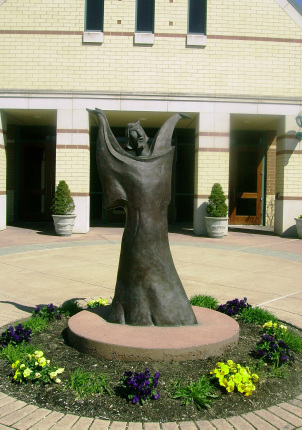 A year and a half later, on October 10, 1999, the new church of St. John the Evangelist, West Chester, was dedicated with great celebration by Archibishop Daniel E. Pilarczyk and some 2000+ members of the parish. It was a glorious day—the crowning of the efforts of hundreds of members of the parish who had been involved in the project since its inception. This magnificent work of art is truly a reflection of the community it houses!